A new study shows that the pension crisis in America is expanding again and that pension benefits are rising faster than GDP in most states. Between 2003 and 2016, New Jersey’s pension liability ballooned 176%. Unions blame lawmakers for not socking away more money years ago, though lower pension payments helped them bargain for higher pay. 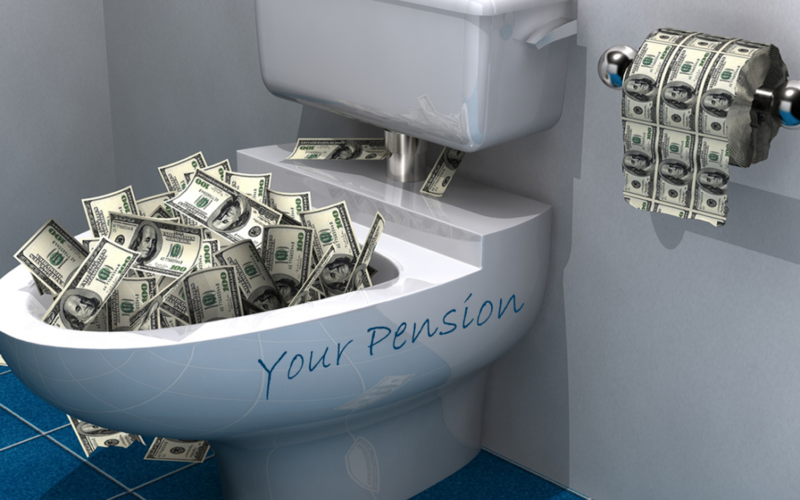 The reality is that New Jersey’s pension funds would be broke even had politicians squirreled away billions more. The inevitable result of a parasite that grows faster than its host is the death of the host. In this case, that means municipal bankruptcies on a vast scale in the next recession, default on hundreds of billions of municipal bonds necessitating a government bailout – culminating in a system-wide crisis that pops the Everything Bubble here and around the world.